It's been my theory for some time now that this QE-driven bull stock market would top either in late 2013 or early 2014, followed by a multi-month stagnation process as liquidity leaked into the commodity markets. At almost five years, this bull market is right up there with the three longest bull markets in history. 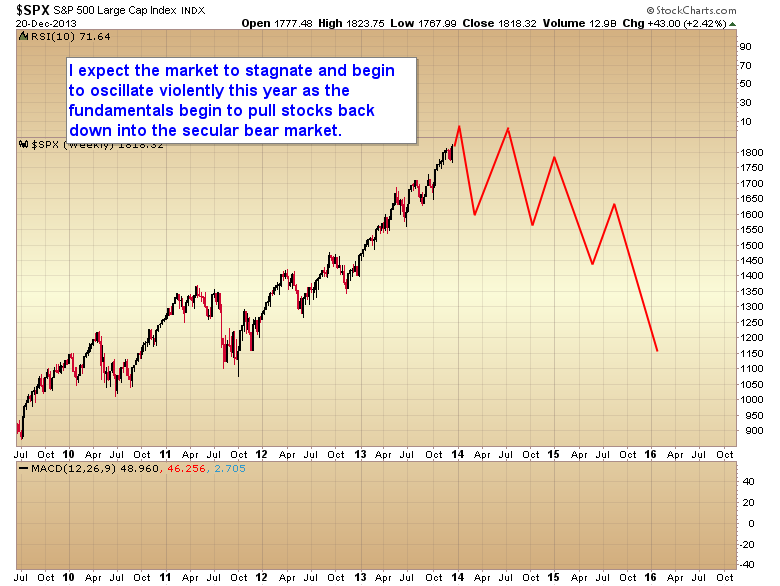 Sentiment and complacency have reached levels typical of a bull market top. 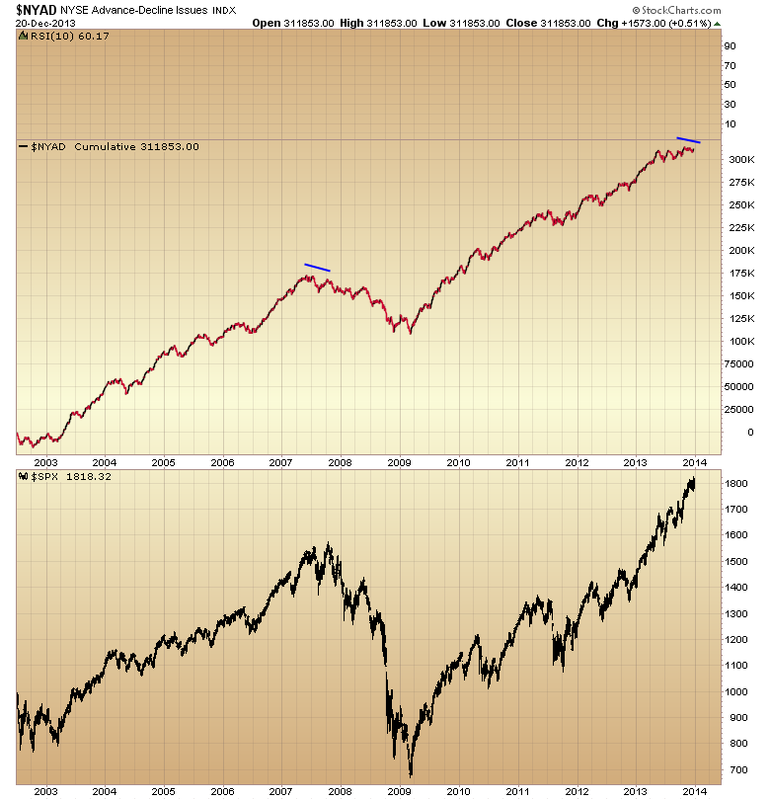 The Advance-Decline line has started to diverge. Will precious metals drop any further?